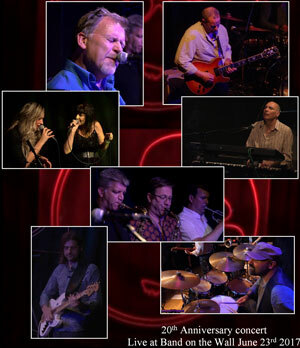 The DVD captures the highlights of a Nearly Dan concert, in their 20th anniversary year, at one of the many sell-out shows during 2017. 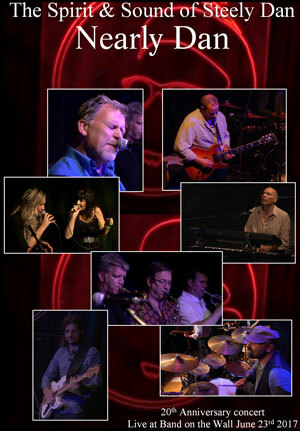 Filmed live at Band on the Wall, an intimate live music club at the heart of the Manchester jazz scene. Running time approximately 82 minutes. To get your copy of the DVD, click the appropriate button below and order online (PayPal). It is also available at the gigs. "Their approach is faithful, though not reverential, and relaxed, but as tight as their namesakes. They bring their own unique spirit and spontaneous humour to every concert."